Go beyond the basic haircut and upgrade your style quotient with a trip to BK Family Salon! 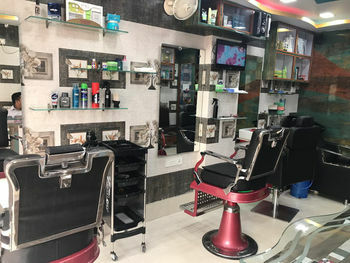 Located in South Roynagar, Natun Bazar, Bashdroni East, Kolkata, BK Family Salon offers their customers a variety of salon services like hair care solutions, skin care services, beauty services and much more for both men & women. The staff is skilled and makes sure the customers are pleased with the services availed while the ambiance is chic and vibrant.